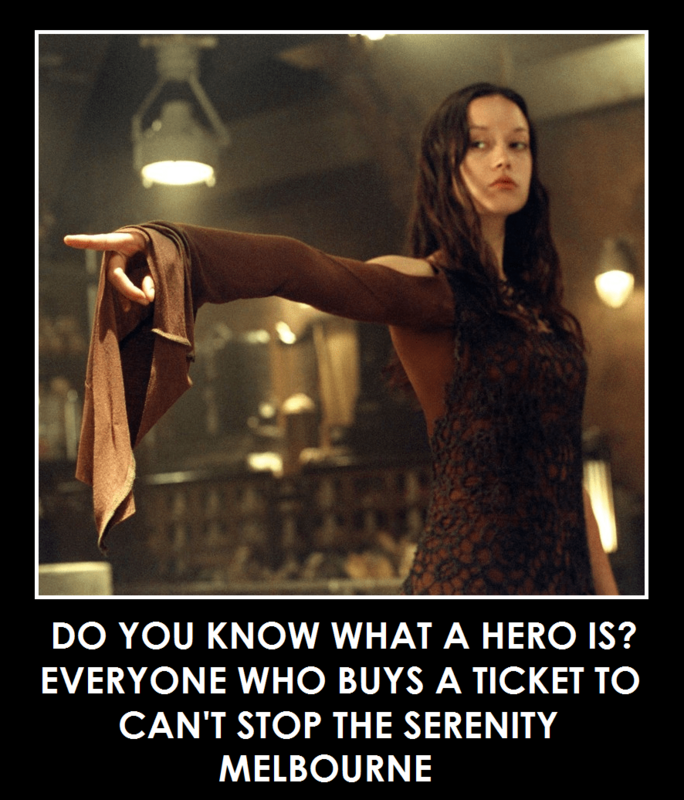 New Melbourne Browncoats, Inc. | Will You Be A Hero? More Door Prizes for CSTS! Help us reach our goals and we’ll keep adding them! Last chance for Sereniversary Market Tour & BBQ Tickets, and Online Merchandise!